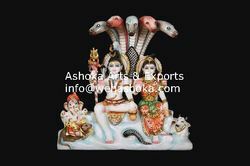 Prominent & Leading Exporter from Udaipur, we offer white marble shiva statue, marble shiva moorti, marble shiva statue, lord shiva statue, lord shiva murti and shiva sculpture. 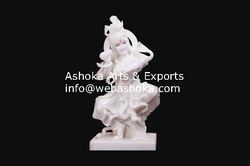 We are delicately engaged in presenting White Marble Shiva Statueto the customers. Our range is apt for the devotees of lord Shiva, who worship him as the paramount god and considered as the creator, preserver and destroyer of the world. 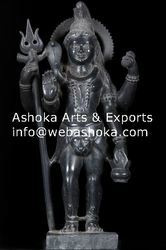 In our provided marble Lord Shiva Statue, he is shown in the meditation posture with both his legs folded inside. Experts have beautifully carved each and every piece of this range with utmost perfection in plenty of sizes. 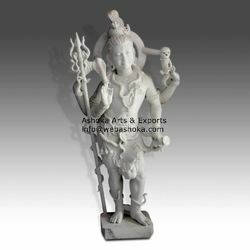 We are delicately engaged in presenting Marble Shiva Statueto the customers. Our range is apt for the devotees of lord Shiva, who worship him as the paramount god and considered as the creator, preserver and destroyer of the world. In our provided marble Lord Shiva Statue, he is shown in the meditation posture with both his legs folded inside. Experts have beautifully carved each and every piece of this range with utmost perfection in plenty of sizes. We are delicately engaged in presenting Lord Shiva Statue to the customers. Our range is apt for the devotees of lord Shiva, who worship him as the paramount god and considered as the creator, preserver and destroyer of the world. 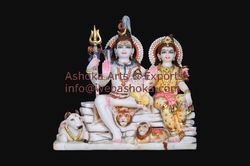 In our provided marble Lord Shiva Statue, he is shown in the meditation posture with both his legs folded inside. Experts have beautifully carved each and every piece of this range with utmost perfection in plenty of sizes. We are delicately engaged in presenting Lord Shiva Murti to the customers. Our range is apt for the devotees of lord Shiva, who worship him as the paramount god and considered as the creator, preserver and destroyer of the world. 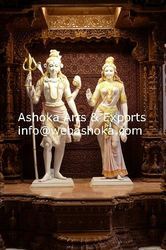 In our provided marble Lord Shiva Statue, he is shown in the meditation posture with both his legs folded inside. Experts have beautifully carved each and every piece of this range with utmost perfection in plenty of sizes. We are delicately engaged in presenting Shiva Sculpture to the customers. Our range is apt for the devotees of lord Shiva, who worship him as the paramount god and considered as the creator, preserver and destroyer of the world. In our provided marble Lord Shiva Statue, he is shown in the meditation posture with both his legs folded inside. Experts have beautifully carved each and every piece of this range with utmost perfection in plenty of sizes. 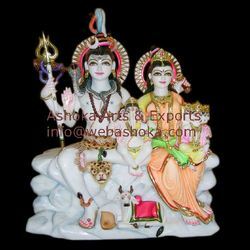 Looking for Marble Shiva ?